In response to the recent death of a teenager at the infamous ‘2C-B house party’ in Cork last month, I contemplated my own experiences with the ease of access to drugs in Ireland, and the existence of the party drug culture, especially amongst students and young people. I have always been quite liberal minded when it comes to my perception of drug taking. I think that before anyone embarks on an expedition to the land of narcotics and stimulants, they should be fully aware of the risks, but if you’re fully informed and the notion is still appealing, then on your own head be the consequences. I myself can call out the holes in my thinking (before anyone else tries to). Everyone that tries ecstasy, or yokes as they are fondly nicknamed on our fair isle, knows that the more attractive side effects are grinding your teeth and projectile vomiting, and that it can also cause actual death due to underlying heart conditions or hypothermia. Yet people still think ‘nah, that won’t happen to me’. I am pro-choice, if I may call it that, in regards to drug use. If you have educated yourself on the side effects and elements of the high, are in a safe environment and have a plan for if anything goes wrong, then it is your choice. Ultimately, you are responsible for what you chose to do with your body. Drugs have a long history of being associated with the Arts and artistic inspiration and creativity. Sigmund Freud was mad for cocaine, Vincent Van Gogh was an absolute sauce merchant, Steve Jobs and Bill Gates dabbled in LSD in their youths, and Kurt Cobain lived and died by his heroin addiction. While I am not suggesting anyone goes out and starts mainlining heroin to help their song writing abilities, I am just saying that if you make an informed decision and you know the consequences for yourself and others, then it is your choice. 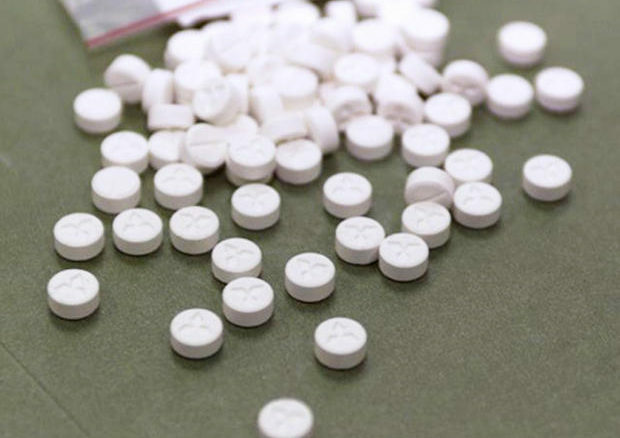 For whatever reason, yokes and MDMA are the drugs of the hour at the moment, having made a huge comeback since the original ravers consumed them with gusto in the 1990s. I personally am plagued by the perpetual request ‘have you got any yokes?’ at the various establishments I frequent (apparently I look like a drug dealer; it must be my blue hair and shifty side-eye). The ease of access to yokes, ketamine, and MDMA has increased in the last few years. If you ask enough people at any night club (and certain clubs in particular), you are guaranteed to find someone who is a drug dealer, knows a drug dealer, or is willing to point you in the right direction. It seems as though drug taking in clubs is now acceptable behaviour. Unless you are caught physically putting the pill in your mouth or selling them, your sweating, jaw clenching, arm flailing demeanour is considered normal conduct. Most clubs leave about 20 plastic glasses of water at the end of the bar in expectation of the amount of dehydrated clubbers who will be in need of water loading by the end of a five hour, MDMA induced dance session. Party drug culture in Ireland is on the up, and that is reflected in the amount of young people who have ended up in the hospital or worse, in the ground due to party drugs. Last year saw the devastating death of 18-year-old Ana Hick, a teenager who collapsed in the street outside the Twisted Pepper nightclub after taking three pills, and later died from a subsequent heart attack. Given the fact that this incident was a relatively short time ago, it is a wonder how establishments who are known to young people to be places that are easy to score a few yokes at are not more regulated by An Garda Siochana. While reading articles about last month’s 2C-B incident, a house party where the partakers were dancing naked, covered in their own (and other people’s) blood, howling animalistic screams and attempting to chow down on concrete pavements, I came across a sentence which shocked me. In one article, it calmly said that this is the very first time that 2C-B has been seen in Ireland. This sentence alone finitely summed up the lack of knowledge that the Gardai are partial to. I think the earliest time I can remember being offered 2C-B at a party was April 2015, and I have been offered it two or three times since. So unless these drug pushers are lying about the contents of their inner pockets, 2C-B has been in the country for quite a while, advertised as a form of ‘liquid ecstasy’. While I stand by my pro-choice attitude to drug use, I think anyone who would choose to take 2C-B or yokes knowing what has happened to real people, people just like them who were just out having a laugh with friends, are making a wholly inconsiderate choice, one which could end their lives and ruin the lives of their friends and family.